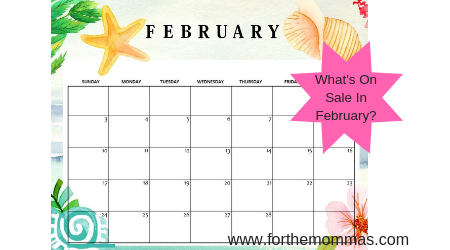 What’s On Sale In February? As we begin the NEW month of February, we wanted to share with you a list of things that are often on sale in the month of February. This is another great way to save money on groceries and non grocery items. February is the month when the ‘big Game’ is aired and if you are in the market for a new television, now is a prime time to buy. We often see sales on flat screens televisions since retailers are aware that many consumers have parties for the game. It’s Tax Season! You can find discount tax preparation software (sometimes even FREE) or discount services for online preparation. Be sure to look for offers on different items that may pamper and alleviate the stress and anxiety of filing your taxes. Always something to look forward to. Here are some of the in season fruits and veggies, you will pay less for them when they are readily available.